How Mobile Apps are transforming Real Estate Business? 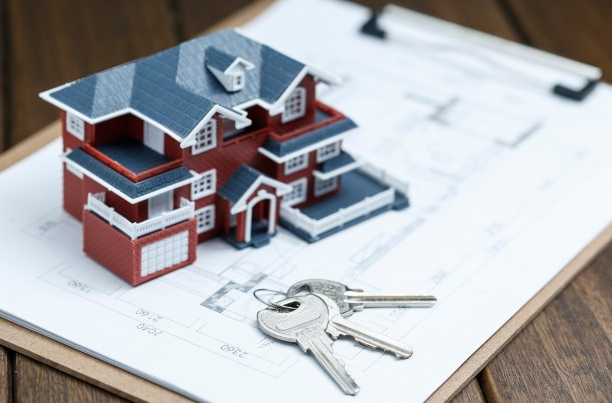 According to an article published on FitSmallBusiness, approximately three to five percent is the amount of contribution made to the nation’s Gross Domestic Product through real estate investments. The use of real estate app like MagicBricks also has affected these numbers. Also, housing rates have jumped from an approximate of 180,000 US dollars in the last four months of 2008 to an approximate 200,700 US dollars in August 2017. The Demand Index Value with regard to real estate ran down the slope to approximately eighty-three in 2014 and ran up the slope to reach an approximate of a hundred and twenty-seven in August 2017. One of the theories read that a factor like real estate app development may have affected these numbers. According to research, real estate app development has inspired approximately fifty-one percent of people to purchase their dream home. A three-dimensional view enables prospect clients, brokers, and agents can view the property listing clearly. The creation of the favorite list for the client or the user on the basis of their views shall enable filtering their preferences. This feature shall enable reminders and alerts for related real estate listings. This shall help in viewing the real estate or property listings related to the areas or location specified. This shall enable the use of the real estate app. Approving the particular user profile whether a broker, estate manager or a prospective client. This shall help the users to view the lease or sales of a prospective site. This shall enable the appropriate mortgage rates that can be achieved. This shall help in getting the correct rate of interest. All these features attract users to download the particular real estate application for either purchasing or leasing their property. And this is applicable for users on both interfaces namely Android and IOS. This ensures that all requests can be monitored in a systematic way. This ensures that the number of total users can be monitored seamlessly through the metrics, CRM, and ERP facilities. Listing of real estate options available to the users shall benefit them. This shall also include deleting, entering, or modifying a particular listing. This option should include the mode of payments, facility for conversion of currency, and management of finances. Marketing through subscriptions and offers for perspective users including brokers and estate managers are part of social media campaigning. Also, publish client reviews and other related information through this source. All of these factors are managed through a dashboard provided to the admin on a particular desktop or laptop. This is to enable the monitoring of the user metrics such that the user experience can be improved or developed to become flawless. According to statistics published on Understanding e-commerce, it has been observed that approximately eighty percent of individuals prefer buying homes or real estate properties through their mobile phones. This factor encourages real estate app development for all mobile phone users. Also, the percentage of users who have purchased new homes or properties through mobile applications is close to seventy-five percent approximately. These numbers have been found to grow every year by a certain percentage. These statistics state that people have eventually began to trust their phones instead of agents or broker for finalizing a particular property for purchase. And the credit of this habit of the users goes to the real estate app development company which have helped in eliminating physical middle-men involved in the real estate business. However, the role of the real estate application is not limited to show property listings upon relative searches. It can also provide other services like that of an electrician, home development, carpenter, home cleaning, plumbing, and other such services for its various users. Also, a unique facility has been launched in many mobile applications. This features the notifications of property or home auctions occurring in the city or town such that users can afford their piece of land. The idea of the auction came from the housing finance companies where they experienced defaulters in loan repayment. These properties were put up for auction eventually such that the finance company or the builder does not suffer from financial crisis. There are some challenges or limitations the mobile application might face. But for overcoming these shortfalls or limitations, there are real estate mobile applications which have been developed which provide the contact details of either the landlords or the estate brokers such that the client remains happy and satisfied with the service provided through the mobile application. For any real estate application to function smoothly in the market among its users, the above factors need to be taken care of. Hence, it can be comprehended that for having a seamless and blockbuster real estate development app performing on Android and IOS, the above factors need to be considered. And Matellio can help in achieving a real estate app in a similar way. ← How can GIS be used in Business?